A woman has been arrested after six horses had their tails and manes cut off. A police spokesman said the 24-year-old woman from Hove was arrested on suspicion of causing unnecessary suffering to a protected animal, attempted blackmail and sending a malicious message following the attack at Buddy’s Yard under the Shoreham flyover. 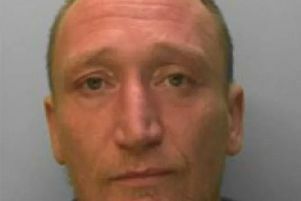 She said: “The incident happened sometime overnight from Friday January 29 until Saturday January 30 in Steyning Road, Shoreham. Stable owner Phil Lee said the attack was ‘like if somebody cut the hair off your young child’. The woman has been questioned and released on bail for further enquiries until April 26. A £1,500 reward has been offered for anyone with any information on the attacks, which leads to arrest and prosecution. Witnesses can contact police by emailing 101@sussex.pnn.police.uk or ringing 101 quoting serial 554 of 30/01.